There’s rosemary, that’s for remembrance; pray you, love remember. Colour: Clear to pale yellow. Plant: An evergreen shrub that grows up to 2 metres high with silvery grey needle shaped leaves and pale blue flowers. As the plant ages the leaves lose part of their oil and the plant becomes progressively odourless. Main Growing Areas: Tunisia, Spain, Morocco, France. Major Constituents: There are 3 chemotypes, 1,8 cineole, camphor and verbenone. The amount of each constituent varies with the chemotype but all include 1.8 cineole, alpha-pinene, camphor, alpha-pinene, borneol, borynl acetate. 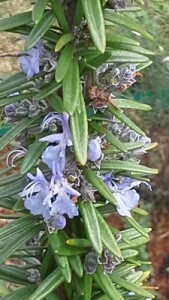 Interesting snippets: Rosemary essential oil was first distilled in the 13th century. The Ancient Egyptians used Rosemary as a ritual incense in the tombs of the Pharaohs to assist them to recall their former life. 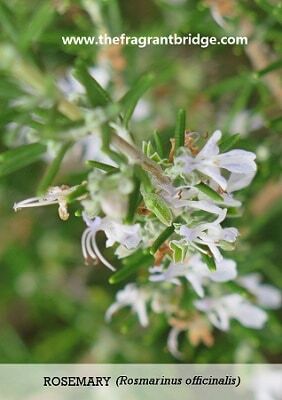 The Greeks and Romans regarded Rosemary as sacred, a symbol of remembrance, loyalty, and scholarly learning. Throughout the ages, Rosemary garlands and headdresses were worn at all important occasions as a symbol of trust. The herb was used in former times to delay the putrefaction in uncooked meat. The French used it as a disinfectant in hospital wards during epidemics. Part of Plant used / Extraction: Leaves and flowering tops by steam distillation. A complete distillation takes around one and a half hours. Therapeutic actions: Colds and flu, catarrh, sinusitis, muscular aches and pains, arthritis, rheumatism. Emotional and Spiritual: Clears and refreshes a tired mind and improves concentration. Helps clear mental confusion in the elderly. Can renew enthusiasm and improve self-confidence. 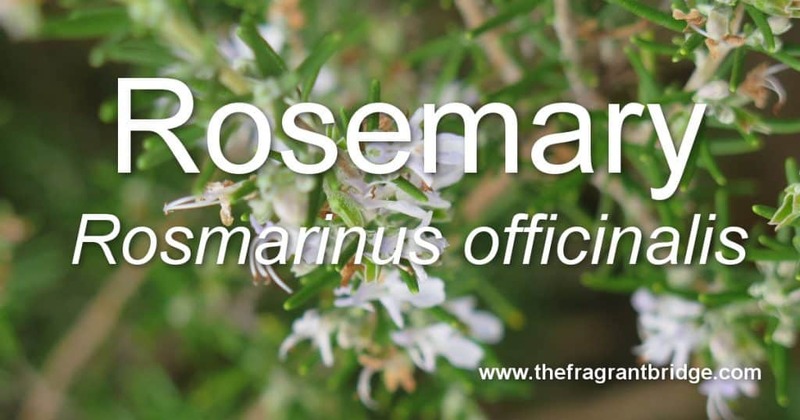 Robbi Zeck writes that when familiar patterns, conditions, habits and beliefs keep resurfacing and manifesting in your life, rosemary moves you onward freeing you from restriction, sluggishness and mental fatigue. Gabriel Mojay writes that as a Herb of Remembrance, it helps us not only to recall loved ones, but to remember our own true path. 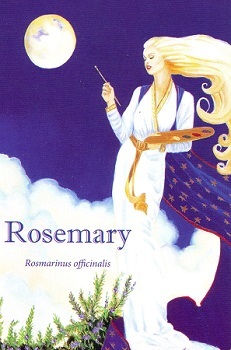 Rosemary gladdens the spirit, invoking confidence to command creative energy into action. Believe in yourself, you can manifest anything if you believe in it. Explore your creative side and free yourself from life’s restrictions. 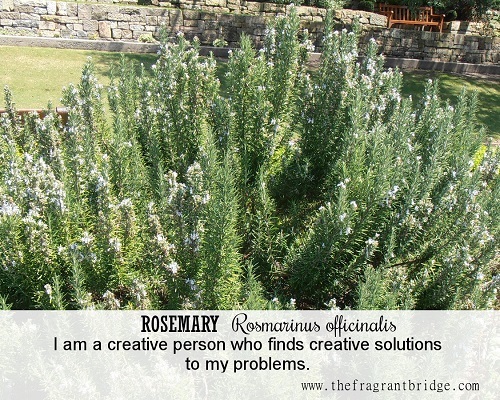 Rosemary allows you to explore outside your everyday world. Find your own personal expression of creativity and paint your life the colours that you want. Courtesy of J. Jefferies & K. Osborn. Have you forgotten your creativity or even that you are a creative being? Are you feeling mentally fatigued and apathetic? Have you forgotten who you truly are and what you can accomplish? Have you forgotten your path and purpose in life? We think of rosemary for remembrance but she is also a creative force. Stop today and think of all the ways you are creative in your life. People may comment on your creativity in a certain area but you may not see it because it seems so natural to you. Slow down and remember the creative person you are and acknowledge your worth. This entry was posted in Essential Oils and tagged colds and flu, creativity, focus, remembrance, rosemary, self confidence on April 23, 2015 by Carole Hodges. 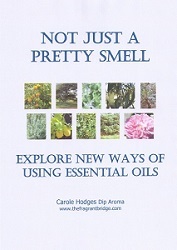 Most essential oils are safe to use in the bath, massage and inhalation where the dosage is low. The following comments do not apply to oral ingestion where you should know the chemical properties and the appropriate dosage of the oils you ingest. Above all treat these precious essences with the respect they deserve. There are a few oils that react with the UV rays of the sun or a tanning bed and can cause a severe burn or leave a permanent mark on the skin when used immediately before spending prolonged time in the hot sun or tanning in a salon. Provided they are kept at a low dilution in a blend they are fine to use at other times. The effects of the oil can last up to 12 hours. These oils include angelica root, bergamot, grapefruit, lemon, lime, bitter orange and lemon verbena. Most essential oils won’t cause any allergic reaction but some oils like geranium, palmarosa, benzoin and cinnamon bark have the possibility of doing so in people who have a history of eczema, asthma and other allergies. In that case it is best to do a patch test first. Put a drop or two of the essential oil either neat or blended 10% in a vegetable oil on the inner arm and cover with a band aid. If there is no reddening of the skin and/or itching after 24 to 48 hours the oil is probably safe to use. Sometimes sensitivity develops over time. If so discontinue use. Sometimes if too much essential oil or those known to cause irritation are used the skin may become itchy, red, sore or develop a rash. Remove the oil from the skin, apply a bland vegetable oil, remove and repeat a few times. Oils that can have skin irritating properties are cinnamon bark, oregano and clove. If essential oil gets into your eyes immediately flush with a vegetable oil and wipe off the excess. If irritation continues seek medical advice. Finally keep all essential oils out of reach of young children. 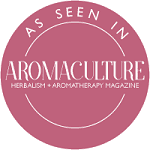 This entry was posted in Essential Oils and tagged essential oil safety, irritation, photosensitivity, sensitivity on April 15, 2015 by Carole Hodges. Fear is faith that it won’t work out. Someone once said that FEAR is False Evidence Appearing Real but I think the quote above is also true. How many times do you not even attempt do something because you’re convinced it won’t work out and you don’t want to face your fear of failure? 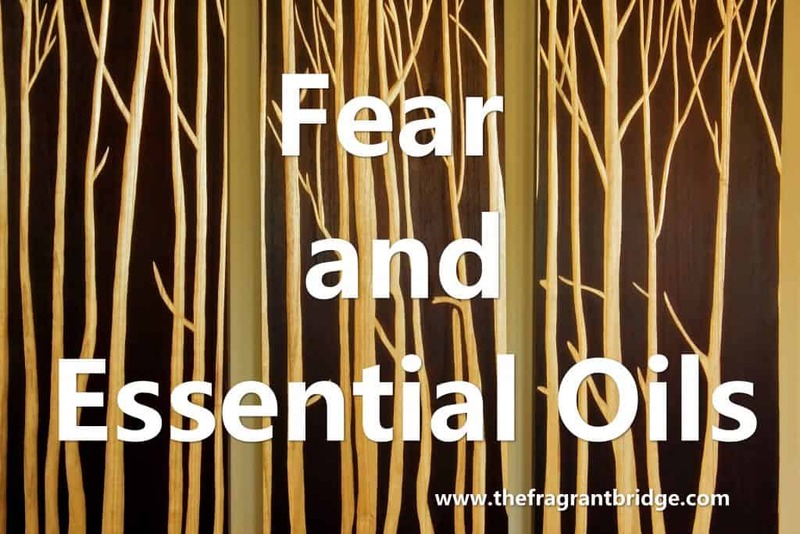 Essential oils are very useful to help you deal with your fears and you will find a list of oils to help you below. Fear is a form of self-preservation that can present as simple consternation, apprehension, dread, panic or terror. When you are feeling panicked your heart races and you breathe more quickly and shallowly. You may feel like running away or conversely be unable to move. 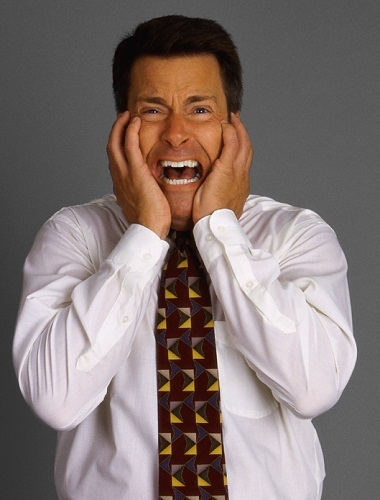 If it is a more chronic form of fear you may feel the above in a milder form or just have a general sense of unease. You may also feel anxious, frustrated and angry. Fear can show up as perfectionism, procrastination, lack of self-confidence, feeling insecure and fear of failure, losing control, change or being hurt in love. You may forget the words to a speech or turn down invitations to social events due to your fear. Fear can alert you to real danger but often it is based on emotion rather than fact. For example you may procrastinate because you fear that you will not do something correctly or others may judge you on the results. Perfectionism is also a form of fear based on feeling vulnerable. Fear can also paralyse your personal growth when it is a reaction to change and transformation. You cannot know how each change will affect you. The mind sees the death of old patterns and beliefs as a mini death and wants to protect you. Basil (Ocimum basilicum) – Needing to be in control regardless of the consequences, low self-esteem and self-worth. Cedarwood (Cedrus atlantica) – Courage to move forward and stand firm in the face of crisis. Chamomile German (Matricaria recutita) – Helps to let go of fixed expectations, old ideas and beliefs. Cypress (Cupressus sempervirens) – Cope with and accept difficult change. Geranium (Pelargonium graveolens) – Perfectionists and those who deny their feelings, panic attacks. Ginger (Zingiber officinale) – Procrastination, self-doubt, restores initiative and determination. Juniper (Juniperus communis) – Fear of failure, support in challenging situations, strengthens will-power. Lavender (Lavendula angustifolia) – Feels oppressed and suffocated by situations or other people. Rose (Rosa damascena) – Can’t bear to be left alone due to fears of being abandoned, fear of losing control, insecurity. Thyme (Thymus vulgaris) – Instils courage and self-confidence, strengthens your resolve to overcome obstacles. Vetiver (Vetiveria zizanioides) – Face challenges, feels threatened by need to change, calm strength, panic attacks. Ylang Ylang (Cananga odorata) – Fear of intimacy, helps you to recognise whether or not the fear is appropriate and deal with it, anger, sense of peace. The oils can be used singly or in a blend in the bath, vaporiser, in massage or as an anointing oil. Use on the solar plexus and/or wherever else feels appropriate. For details on diluting the oils click here. You may need to seek professional help for your fear if it is strongly affecting the way you live your life. The oils will help you to change on a soul level if you so desire. This entry was posted in Essential Oils and tagged anger, anxiety, basil, cedarwood, fear, German chamomile, ginger, juniper, lavender, rose, thyme, vetiver, ylang ylang on April 7, 2015 by Carole Hodges.